Bars, restaurants, and commercial kitchens are often drowning in moisture caused by spills. Spills mean slippery and hazardous floors. Slippery floors can pose great physical and financial risks for bars and restaurants, both to their staff and customers alike. Many injuries occur throughout the country every day due the unsafe slippery conditions caused by spilled liquids. Now is the time to take proactive steps to ensure the safety of your bar, restaurant, or kitchen. The PVC puzzle bar mat combo offer an easy safety solution to this problem with our rubber bar mats that are slip resistant, anti-fatigue, and durable even in the most abrasive conditions. Spills and mishaps occur on a daily basis. 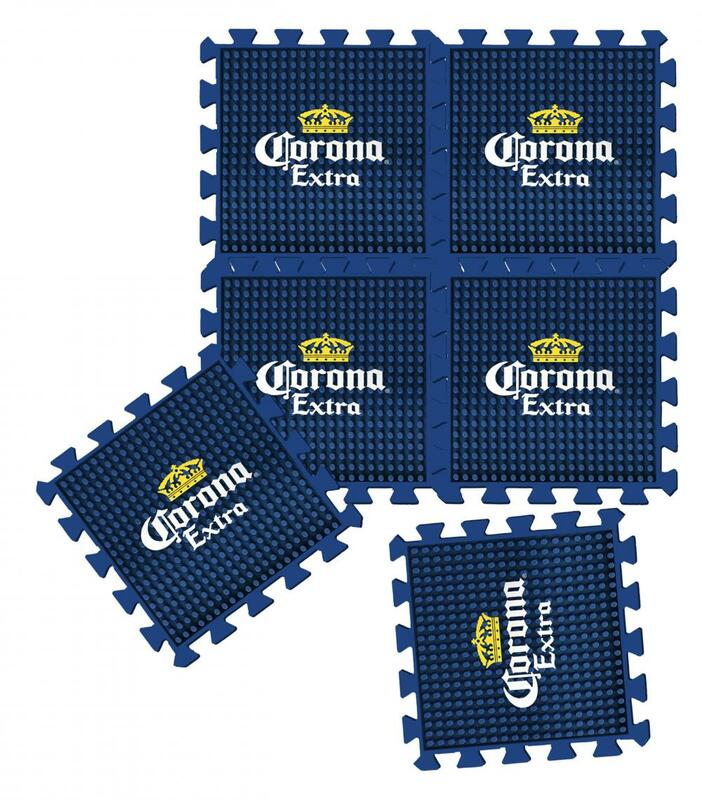 Be sure to protect yourself against spills by buying one of your excellent bar mats. Our PVC puzzle bar mat combo is very practical and also include a drainage system to take care of any spills that may occur. The black color will be a perfect match for any surface in your pub or bar. Looking for ideal Pvc Puzzle Bar Mat Combo Manufacturer & supplier ? We have a wide selection at great prices to help you get creative. All the Puzzle Bar Mat Combo are quality guaranteed. We are China Origin Factory of Bar Mat Combo. If you have any question, please feel free to contact us.